Tickets to the Hearts Unite the Globe Debut Event are $10 each. The event will be at the Ronald McDonald House Community Room at 1315 Barbara Jordan Blvd. Austin, Texas 78723. The event will be held from 2:00-4:00 p.m. and will feature some wonderful speakers, music provided by an adult with a congenital heart defect, a silent auction, the raffle and more! 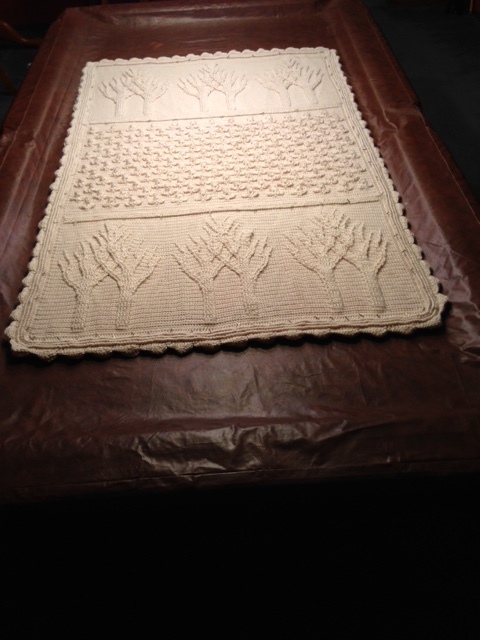 Donations or raffle tickets for the Tree of Life afghan can be purchased in advance or at the event. The cost is $2 per ticket or 6 tickets for $10 USD. You need not be present to win. We will ship the afghan to the winner if he/she is not present at our event. Please indicate in the Notes section how many tickets you wish to purchase, your name and address for shipping if you should win or if the money is strictly a donation.